Community pharmacists fill prescriptions and provide care to local residents. When your doctor writes you a prescription, you have many choices of places to pick it up: your supermarket, a discount department store, a big-box drug store chain or your locally owned pharmacy. The latter, according to the National Community Pharmacists Association, is quite popular: more than half of prescriptions filled in the United States are done at independent pharmacies or small regional retail chains. 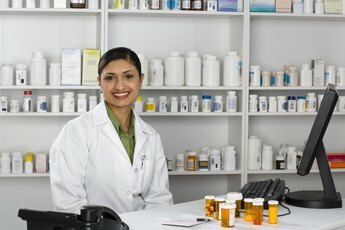 While the job requirements and duties of a community pharmacist do not differ much from her colleagues working for a different type of pharmacy or health organization, there are some unique aspects to the role. 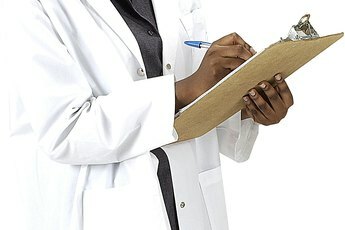 The main duty of community pharmacists is to fill prescriptions, while verifying the doctor’s dosage and instructions. Also, they make sure that there are no potential negative interactions with a patient’s existing medication. Oftentimes a medication needs to be customized through a process called compounding. Examples of why this is needed include an allergy to a dye on the coating of a pill or the inability to swallow a pill. When this occurs, a community pharmacist can use ingredients and tools to personalize the prescription into a form that can be taken successfully, such as creating a liquid version, a better-tasting liquid or an easier-to-swallow capsule. Sometimes the medical information provided with a prescription isn’t enough; pharmacists are there to answer questions about drug interactions and side effects and to help clarify instructions. Also, pharmacists assist customers in selecting the best over-the-counter medication or remedy for their needs. 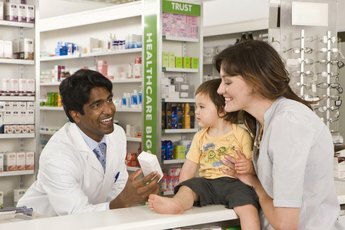 One of the biggest advantages a community pharmacist offers its patients is personal service and attention. Many independent pharmacists answer phone calls on evenings and weekends, and even make emergency deliveries or open the store after hours to accommodate those in need. In annual Gallup polls on honesty, ethics and public confidence, pharmacists consistently rank near the top; in the 2012 survey only nurses received higher marks. But more specifically, according to the National Community Pharmacists Association, community pharmacists specifically received high marks in a customer service in survey conducted by Consumer Reports in 2011; 94 percent of customers are "highly satisfied" with independent drug stores. As the owner-operator of a single store or franchise location of an independent community pharmacy, the pharmacist is also in charge of bookkeeping, billing, record-keeping, hiring and managing staff, ordering inventory, marketing and other administrative duties. When competition against larger retail pharmacies presents a challenge for community pharmacies, specializing in certain areas -- such as a large selection of diabetes supplies -- can help set an independent pharmacy apart. Also, offering a delivery service -- although probably not done by the pharmacist herself, but rather a tech or retail associate -- provides a convenient way to earn business. Finally, community pharmacists can opt to offer unique, hard-to-find or specialized, nonprescription health and beauty items. While not a job requirement by any means, many community pharmacists are active in their local communities, whether their store sponsors a local softball league or they donate to local nonprofits. By default, as a local business owner, a community pharmacist also contributes to the local economy. 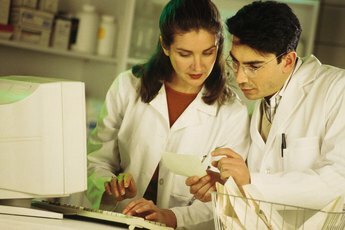 How Long Does It Take to Become a Licensed Pharmacy Tech in Louisiana?